ILLEGAL DUMPING IS a huge issue for many areas across the country, but measures are being put in place to crack down on culprits. An anti-dumping initiative was introduced by the government last year to work with local authorities and community organisations in identifying problem areas, developing enforcement responses and carrying out clean-up operations. The initiative includes a pilot project undertaken by Sligo County Council aimed at tackling and addressing the source of illegal dumping through an Eircodes investigation. Sligo County Council spent more than €40,000 on cleaning specific black spot areas in the county last year with over 70 tonnes of waste removed. The council said that despite this spend, these areas returned to significant levels of illegal dumping within a very short space of time. Sligo County Council is now asking householders to ensure they provide their Eircode to waste collectors or the operative on duty at the civic amenity site. Once your Eircode is accounted for, this will exclude your household from the local authorities investigations into identifying households who remain non compliant with waste legislation. All householders are obliged to manage their domestic waste but under the new initiative, those who are not managing their waste appropriately will be served a statutory notice outlining what they are required to do. If they remain non compliant, an on-the-spot fine of €75 will be issued, as well as a court summons where required. The pilot project is expected to run for the next couple of years until accountability of all households has been achieved. The Minister for Communications, Climate Action and Environment Denis Naughten said he has increased funding to €2 million to support 200 anti-dumping projects in 2018. The Minister also pointed out that penalties for serious dumping offences are substantial. Email “Illegal dumping being tackled through Eircodes investigation”. 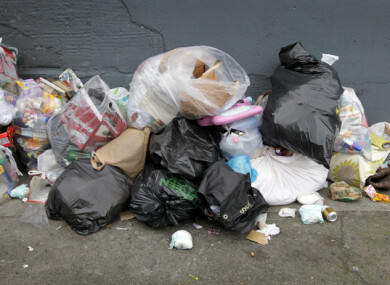 Feedback on “Illegal dumping being tackled through Eircodes investigation”.